Don`t be scared of our fruity gummi mice! 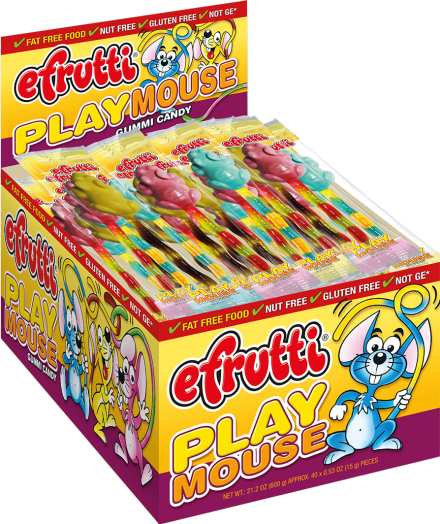 Playmouse and his friends have 3 different combinations of color and taste. With their extra long tails they are not just so delicious but also a lot of fun to play with. Try them, you`ll love them !